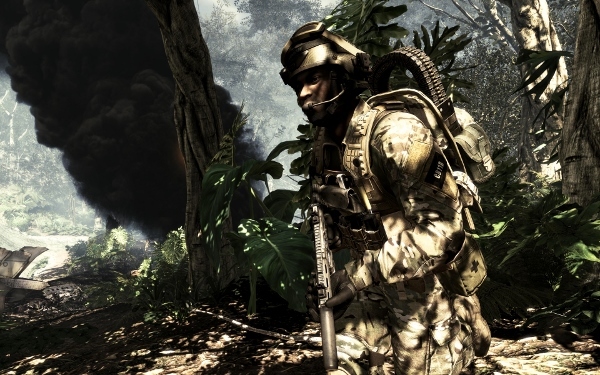 Gamers aren’t just good for killing time overseas as new research highlights the positives behind gaming for veterans. With Memorial Day still fresh in people’s minds and multiple war zones involving American troops ongoing, it is important to remember the many sacrifices of the members of the United States Armed Services stationed overseas. These soldiers face high levels of stress on a daily basis, often with lasting psychological affects. To help deal with this stress, many soldiers on active duty and those returning from the front turn to computer and video games and their 3D environments and interactive experiences. Professor Jayne Gackenbach of Grant MacEwan University in Alberta, Canada believes that this entertainment choice may have real benefits for our men and women in uniform. According to an online survey of 98 active military personnel, regularly playing games involving war or combat, such as Activision’s Call of Duty, helps soldiers deal with the effects of stress, including nightmares. Specifically, soldiers who regularly played these types of games reported that their nightmares were less intense, and that they often felt able to fight back against whatever was threatening them. Comparatively, “low gamers,” those who only play video games a few times a year, reported more incidents of feeling helpless against an aggressive, violent enemy in their dreams. Gackenbach is not alone in acknowledging the benefits of entertainment software for service members. The National Center for Telehealth and Technology (T2), a component of the Department of Defense Military Health System, uses game technology to help soldiers returning from combat. T2 recently used Linden Labs’ virtual world Second Life to create the Virtual PTSD Experience , an interactive learning tool for combat veterans. The program educates military personnel and their families about combat-related post-traumatic stress disorder (PTSD), a troubling, but normal human response to traumatic events. Visitors use an avatar to enter a virtual center, experience simulations of combat events that are common causes of PTSD and talk with other visitors. The game includes information on PTSD symptoms, how to identify situations that can trigger these symptoms, and the role of avoidance in the development of PTSD. With slightly more than half of all combat veterans with psychological health problems seeking mental health services, theVirtual PTSD Experience offers a free and anonymous way to learn about PTSD and seek treatment. Whether through combat simulations or virtual worlds where soldiers can learn and interact, the immersive nature and realistic environments of computer and video games provide service members with new tools for dealing with the stress of their jobs.